Wouldn’t it be amazing if you could remove unwanted fat from one part of your body and use it to plump up the skin on your face? Well, dream no longer! With a micro-fat facial transfer, you can remove fat from parts of your body like your abdomen, upper thighs, or buttocks and have it inserted into your face to help reduce the appearance of fine lines and wrinkles. Read on to learn more about this procedure and how it can enhance your overall appearance. A micro-fat facial transfer is a two-step procedure. The first step involves liposuction to remove the fat from your body surgically. Once the fat is removed, it will go through a procedure to clean it. Once it has been cleaned, Dr. Wiener will then slowly inject the fat into your skin to help fill in areas on your face that have lost collagen and elasticity. 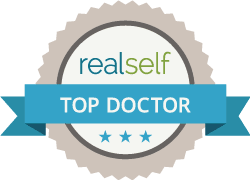 Although there are a variety of fat harvesting techniques that are available out there, Dr. Gregory Wiener uses a special technique to ensure that your fat is harvested correctly and effectively. How? By slowly removing your fat during liposuction and then using a micro-droplet technique, the fat is easily harvested and transferable— delivering you with the best results possible. You can expect that some of the fat that is injected into your face will naturally be absorbed by your body a few weeks after the procedure. However, unlike fillers that are readily absorbed by your body over time, results from a micro-fat facial transfer can be permanent because the fat is a living organism. Additionally, patients who get micro-fat facial transfer typically notice some immediate results, but you can also expect to experience facial swelling as well. If you have started to notice that your skin is losing its elasticity, you may want to consider getting a micro-fat facial transfer. To learn more about this procedure and more, contact Dr. Gregory Wiener today!